Because of an accident, Chen Fan obtained the power to possess an electric eel! 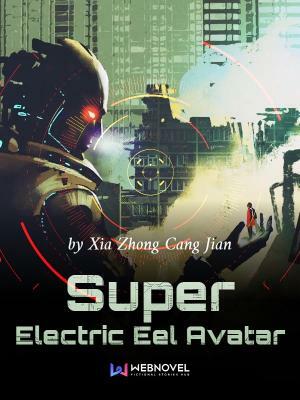 Of course, being an ambitious guy, Chen Fan just HAD to explore his Electric Eel Avatar thoroughly! Captains, are the Somali pirates still giving you a headache? Come and hire me online, and I will guarantee that your ship will be even safer than protected by an American aircraft carrier! The premise of the story seemed interesting. But turned out, author is really racist. I admit there are other stories in which authors occasionally put down people of other countries (sometimes my own). But you could just ignore those instances, and get on with the story. This author however is taking the cake. every other chapter it's a new country and there people. Now there are novels which portrays flaws of foreign countries and their citizens. But this author does it in worst way. It almost feels like author... more>> is dehumanizing these foreign people. Like their lives are worthless, they are all scumbags because he (MC) saw handful of them doing criminal activity. Alright, I usually don't write reviews but as there's a lack of reviews here I'll take the lead. Lets start with the style and grammar, the translation is doing fine. The narration isn't anything particularly outstanding, it just gets the job done. It's the generic style predominantly found within most CN translations. ... more>> All in all, it's easy to read but it won't be able to paint a vivid mental image or seriously tug at your feelings. Style and Grammar I would rate maybe three outta five - a little beyond a passing grade. Next would be characters, a hundred chapters in and there is no development regarding characters. There is a very small circle of relevant characters, some are defined better then others. Villains are plainly two dimensional, as are many assisting characters... the author also managed to create a decent set of characters which appear unique but except for some special moments just are... there. Characters I personally would grade at 2.5/5.0 - if we go more in detail: 3/5 for the lead and 2/5 for the supports. Now there are some things which don't exactly fit into the above categories and plainly shouldn't influence a review. Second, racism and nationalism. Goodness gracious, the author has an unhealthy attitude especially towards Japan and Vietnam.